Send the Right Message with Custom Designed and Printed Envelopes. If you’re still printing envelopes on your inkjet printer or attaching labels to them, you know this doesn’t send the right image about your company. You know you need to be sending your invoices and correspondence on branded custom printed envelopes, but you’re worried it might be too expensive or too much of a hassle to get started. What if it was Easy and Cost Effective to Print Your Own Envelopes? How great would your logo look? What would your customers and potential clients think? You could finally stand out from the crowd! 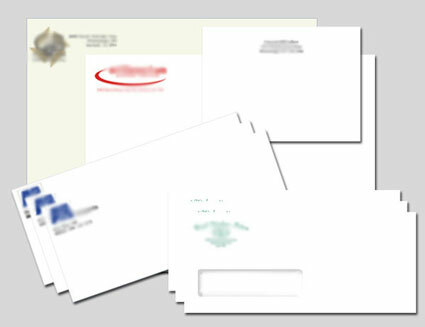 Matheson Printing Can Help with You Print Your Custom Envelopes. Don’t send out another plain envelope without your logo and brand on it! Let Matheson Printing design and print your custom envelopes. Matheson Printing has both the design and production know how to make sure you get top quality envelopes at the most economical prices. Matheson Printing has been doing this since 1990, so you can trust their expertise and history of satisfied customers. Get Started on Your Custom Envelopes Today.